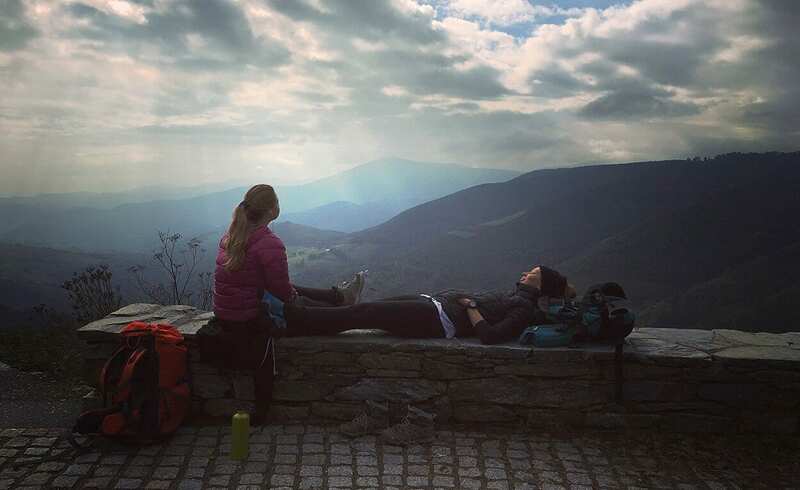 All year round, hundreds of thousands (262,458 in 2015) commit to this 6-8 weeks-long trek, traditionally, in the hopes of reaching spiritual enlightenment. Though spirituality is not the only reason people embark on this incredible journey. Some go for the thrill of the scenery, the love of a long trek, to experience something completely foreign or simply to get away from the hustle and bustle of modern life. Anastasia’s journey has proved to be exceptionally inspirational, a colourful collage of photography, quotes, expression and revival – all of which she plans to share in a book along with insider tips and quips. 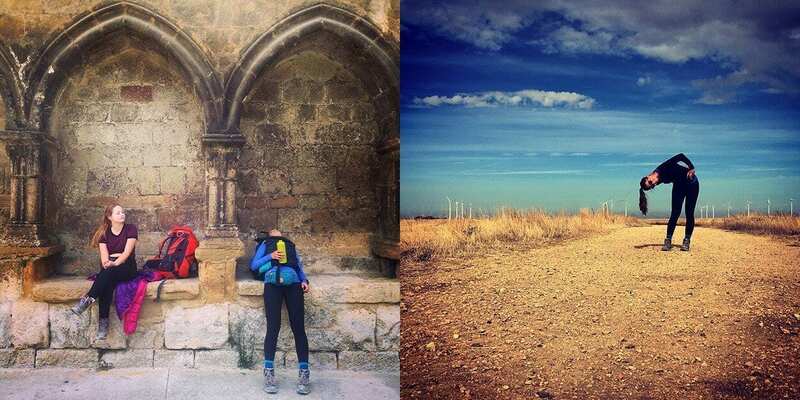 But before that’s published, she’s taken some time out to give us an exclusive recount of her personal pilgrim experience. Here at the School of Natural Health Sciences, we’re all about holistic living. Would you say this journey has been a holistic one? In the sense that it worked, healed and nurtured mind-body-spirit? Yes, definitely. From day one, when we started crossing the Pyrenees, everything felt like an exercise. First you learn to listen to your body and sort of make deals with it, saying “okay feet, I know you are tired, but it’s another couple of kilometres till we can sit down” or even just telling yourself that you can make that next little step forward at a 40 degree upward angle and a 10 kg backpack behind you. Your mind adjusts too. For a control freak like myself, it was a challenge to let go of obsessive daily planning and just trust the Universe on the outcome. But being tired did help – most of the time curling up in bed seemed more appealing than looking through guidebooks. Truth is, being constantly physically tired in the best way possible. You become less and less bothered by logistics, by the way you appear to others, and set off on a journey of being truly yourself and enjoying every step of it. What was the most testing part of the journey, and did quitting ever cross your mind? I would say that the most testing part for me wasn’t physical, but mental – specifically, letting go of ‘perfection’. It took about a week for me to realise that this journey is not about how well prepared I am for each day, or how rational I am in my choices, or whether I know the best strategy for packing my backpack. You quickly learn that no matter how much you strive for perfection, you simply can’t control everything and things will go wrong anyway. And then suddenly you realise that “wrong” is, in fact, the most exciting part! And it was both a challenging and liberating experience. Getting used to being hungry every 30 minutes was also quite tough! As for quitting – no, that thought never crossed my mind. There are so many ‘pilgrims’ of different ages, beliefs, shapes, fitness levels and reasons for being there and walking the way that you constantly feel inspired and amused, and even in the moments of sheer exhaustion or despair you can’t help but feel the magic of the experience transforming you, and be filled with certainty that it’s all part of the package. 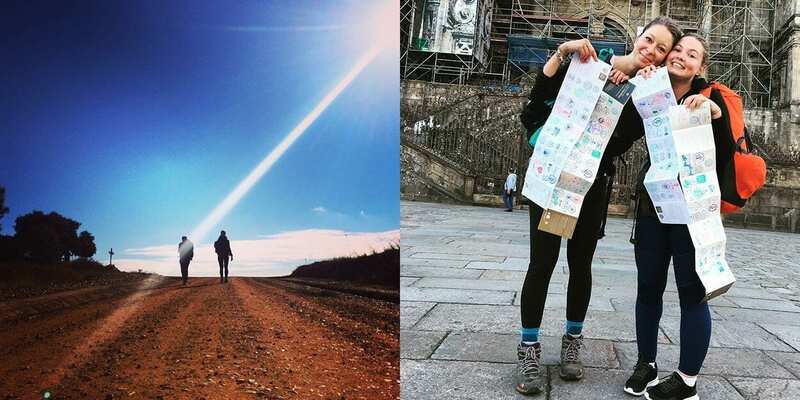 When you first started planning this pilgrimage, you were doing it alone. Did you have any doubts about going solo? Not at all. 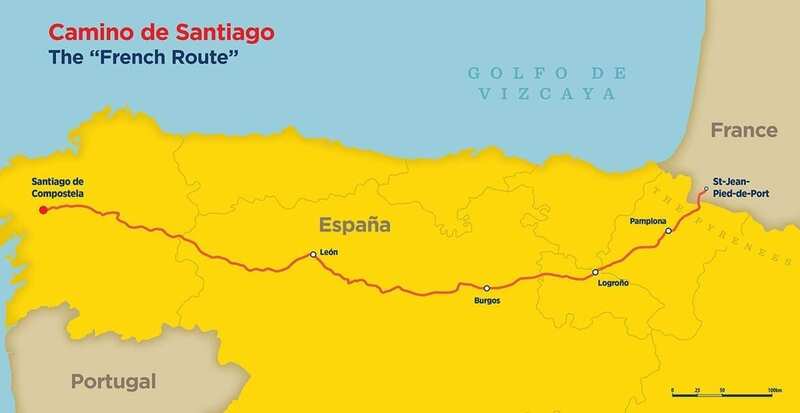 I had researched the Camino a bit and knew that there is an infrastructure around it that would make the journey easily manageable logistically, even if I went alone. At the same time I consciously wanted to go alone in order to have space for my own personal mood swings, freak-outs, epiphanies and just to be free of the ‘group responsibility’. But as usual everything turned out differently: I ended up going with an 18 year old cousin of mine, without whom I cannot imagine my Camino anymore, and I have spent much more time laughing about things than reflecting on them. Somewhere after the halfway mark it also dawned on me that my fellow pilgrims, albergue (hostal) owners, shepherds, shop venders, and all other human beings that I have encountered, together with their stories, are the essential, most interesting and eye-opening part of my Camino. I had set off on my journey thinking that I ought to look inside of myself, but found peace by being attentive to others and learning to love humanity as it is, with all its wonderful weirdness. 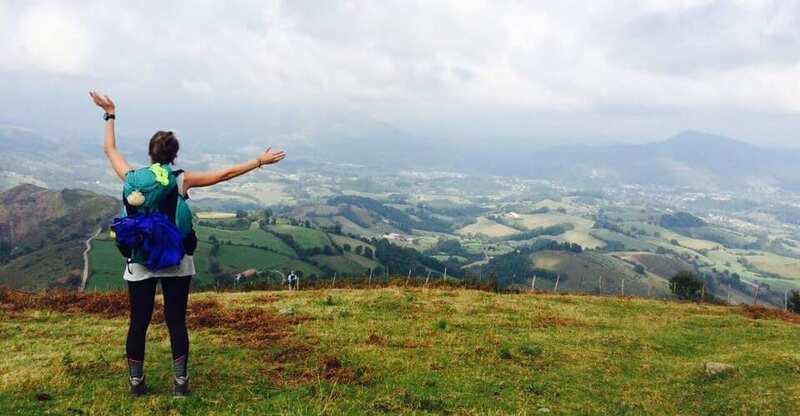 Since your return, we’ve heard you’re planning to write a book about your experience on the Camino. Can you share any details? What can people expect from it? For the first time in my life I actually feel like I have learned something incredibly useful through a fun and fulfilling experience, so it’s only natural that I would like to share it. 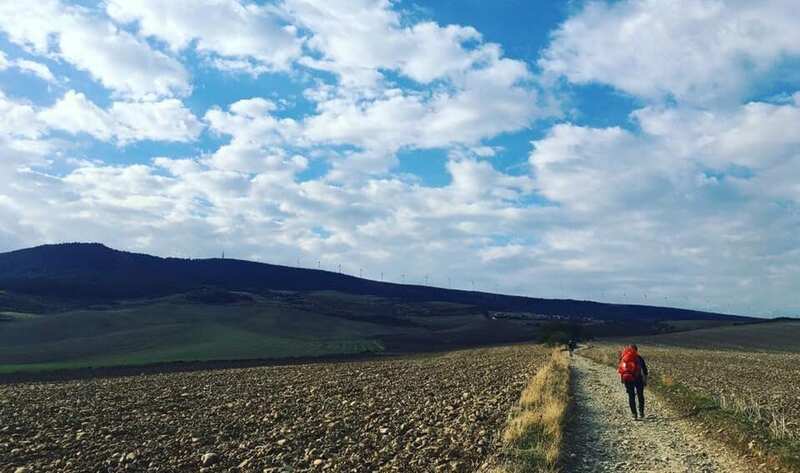 It came to my attention that despite the great historical significance of the Camino, its current popularity in Europe and the presence of pilgrims from virtually every country, little to nothing is known about it in my native Russia. I would like to create a guidebook that is tailored to the Russian audience, in terms of mentality, and make sure that I share my practical, as well as mental tips. It’s not usual to come across a niche like that in the modern world, so it seems both challenging and exciting. Contact us for more information on any of our courses, we’d be delighted to hear from you!